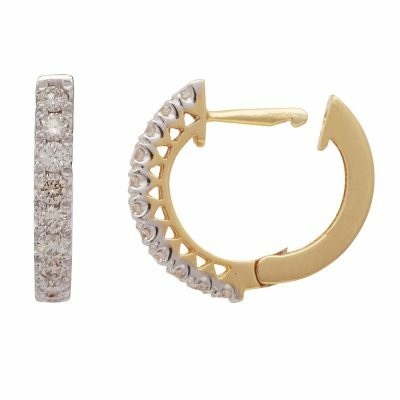 These pretty ruby and diamond loop earrings can be worn in two different ways. 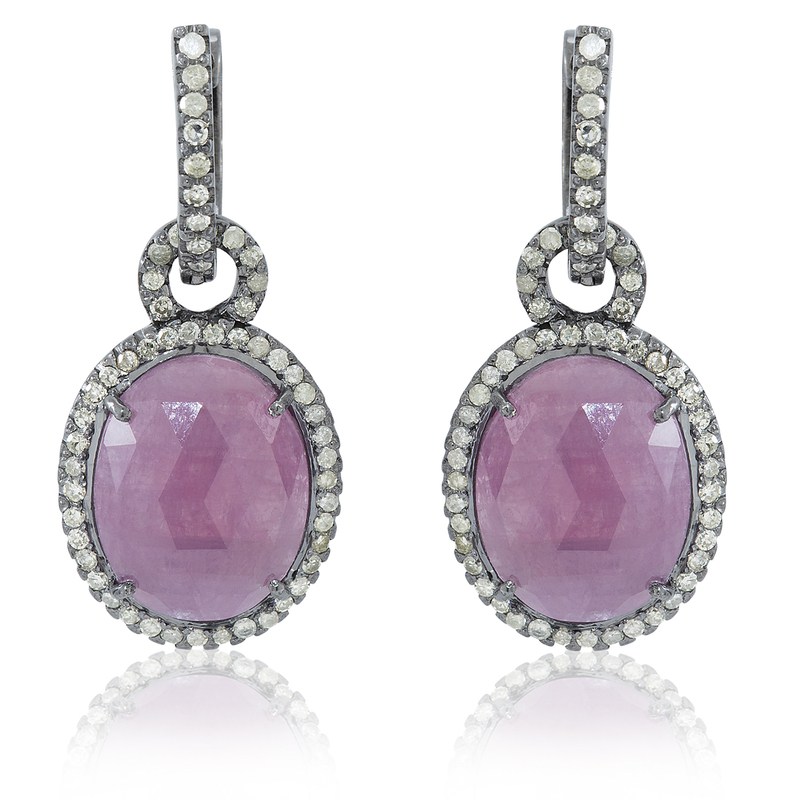 As simple diamond loops, or with the hanging ruby drop. 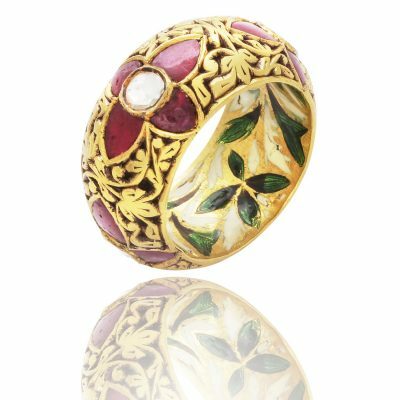 Pure 14 kt gold and silver; 14.76 carat ruby, 1.04 carat diamonds , 3cm in full length. Very light weight for pierced ears. 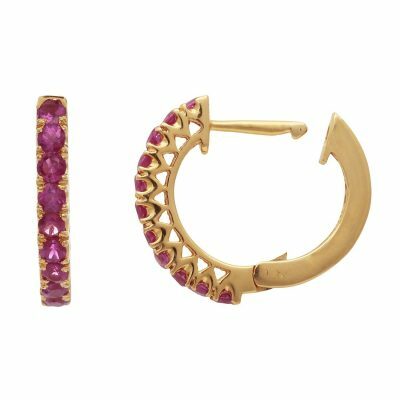 These pretty ruby and diamond loop earrings can be worn in two different ways. As simple diamond loops, or with the hanging ruby drop. 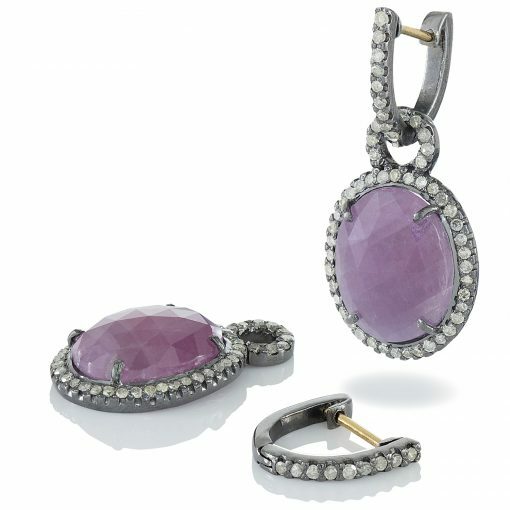 Pure 14 kt gold and silver ; 14.76 carat ruby, 1.04 carat diamonds , 3cm in full length. Very light weight for pierced ears.